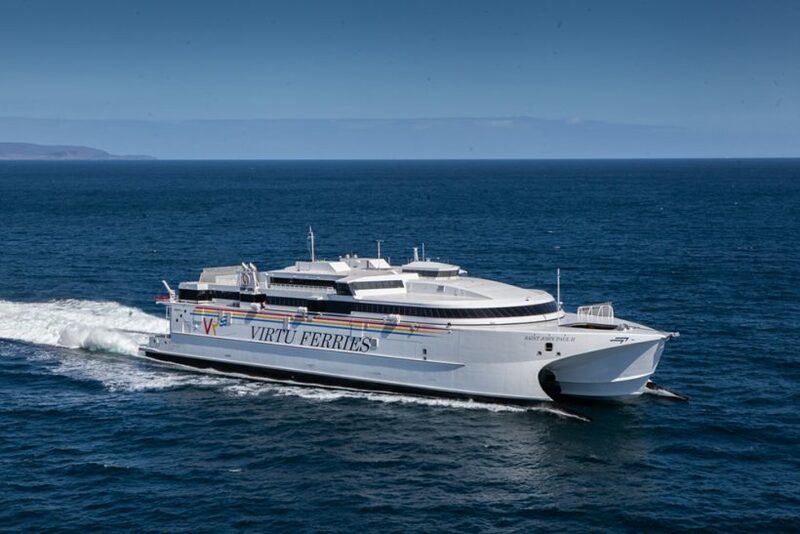 High Speed Craft builder Incat celebrated the delivery of its latest large fast ferry, a 110 metre catamaran for Virtu Ferries of Malta, on 7 February 2019. Incat Hull 089 left HobartTasmania on 6 February and arrival in Grand Harbour, Valletta is expected before the end of the month. Saint John Paul II is the 44th large commercial fast ferry delivered by Incat and the sixth in excess of 5,500gt in the past decade; a decade also shared with 19 other Incat newbuilds of smaller passenger ferries and support vessels. Incat Chairman Robert Clifford and Incat executives were joined in Hobart by Virtu Ferries executives Francis Portelli and Matthew Portelli to see Saint John Paul II off on her delivery voyage via the Indian Ocean, Red Sea and the Suez Canal. “The110 metre wavepiercing catamaran, one of the largest, and most revolutionarybuilt by the yard is the first Incat newbuild vessel to join the Virtu fleet,”says Robert Clifford. 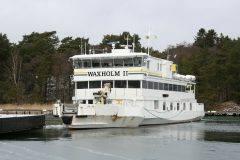 “Virtu Ferries wasseeking increased reliability, sea keeping, passenger comfort, capacity and economy with less operational downtime than vessels in its current fleet. “They knew exactly what they wanted and, with the benefit of extensive tank testing and studies, we believe we have turned that vision into reality with Saint John Paul II,” he says. Incat CEO Tim Burnell says “Despite being at the forefront of the industry for 40 years, Incat is still evolving the product. “Using the latest computational fluid dynamics (CFD) and hydrodynamic free-running model test techniques, the well proven Incat Wave Piercing Catamaran hullform has been further developed for Mediterranean winter conditions. 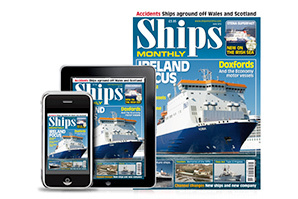 “The hydrodynamic tests were undertaken by Seaspeed Marine Consulting at the Ocean Basin and Ship Tank in Gosport, UK – facilities normally associated with UK Ministry of Defence projects. 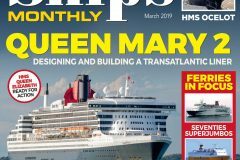 “The result is a completely new bow arrangement and increased tunnel height, ensuring Saint John Paul II is truly fit for purpose on year-round ferry operations on what is an exposed Mediterranean island route,” Tim Burnell says.